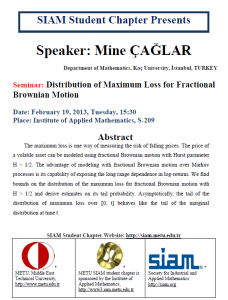 The winner of this year’s 2013 METU SIAM Student Chapter Research Competition is Ali Cem Randa. Cem will be representing our chapter at Euro-Informs 26th European Conference on Operational Research in Rome, Italy. Randa, İyigün, Doğru, and Özen’s associated abstract that competed in our competition is titled Heuristic Methods for The Stochastic Lot-Sizing Problem Under The Static-Dynamic Uncertainty Strategy. We congratulate Cem! Further information about his participation at Euro-Informs 26th European Conference will be announced through this website. We would like to thank very much all four of our finalists and members: Ali Cem Randa, Çiğdem Renkli, Mohammed Saleh Farham, Yavuz Durdak. We think that their participation in our competition with their very high caliber and interesting research articles has made this event a success. The abstract and title of the research articles of the winner can be accessed here. Represent METU at EURO-INFORMS in July 2013, Rome! Present your research during Euro-Informs 26th European Conference on Operational Research in Rome, Italy. It is a conference which has participants from whole of the world. It is not just an international conference, it is joint international conference. 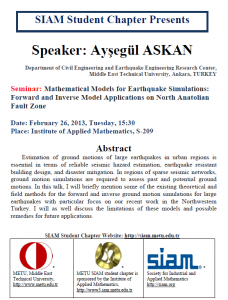 Represent SIAM (Society for Industrial and Applied Mathematics) & METU in a joint international conference. The fields of researches are sprawled. We invite all students, researchers interested in any branch of Operational Research, Mathematical modeling or economic analysis to participate at the conference and to present their research. All research in engineering, sciences, economics, management and other fields that uses applied math is welcome. Present your research as an abstract at most 1 page or as a paper at most 6 pages. A support of $1000 will be available for the student that will be selected. If you satisfy the eligibility requirements indicated below please submit your manuscript to metusiam@gmail.com by February 22nd, 2013, Friday, Midnight. Any PhD, Masters, or senior undergraduate student may apply. 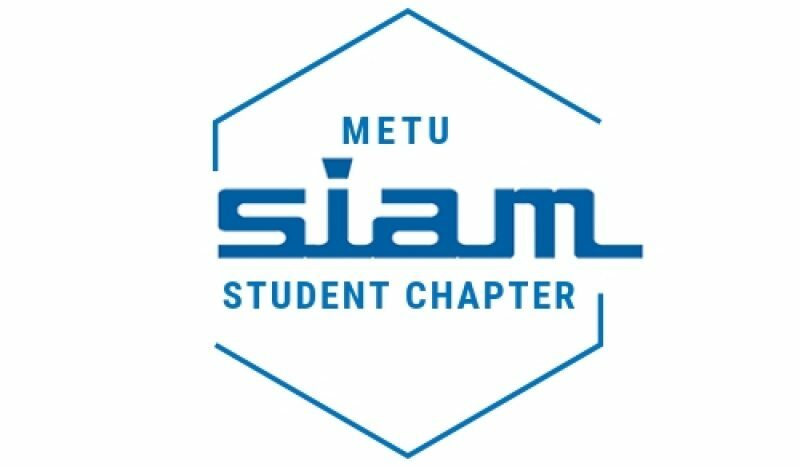 The student has to be a member of the SIAM Student Chapter (any METU student can become a member by contacting the Chapter at metusiam@gmail.com). The maximum loss is one way of measuring the risk of falling prices. The price of a volatile asset can be modeled using fractional Brownian motion with Hurst parameter H > 1/2. The advantage of modeling with fractional Brownian motion over Markov processes is its capability of exposing the long range dependence in log-returns. We find bounds on the distribution of the maximum loss for fractional Brownian motion with H > 1/2 and derive estimates on its tail probability. Asymptotically, the tail of the distribution of maximum loss over [0, t] behaves like the tail of the marginal distribution at time t.
Joint work with Ceren Vardar, TOBB ETU.